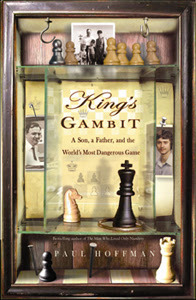 The book King’s Gambit is subtitled, “A Son, a Father, and the World’s Most Dangerous Game.” From the title and subtitle, I surmised that perhaps King’s Gambit tells the story of some type of international espionage and intrigue, with shady characters and complex family issues. This is a difficult book to read. 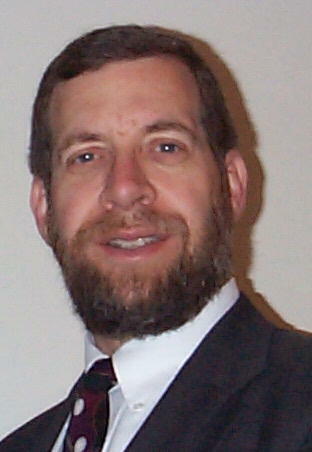 The author is an accomplished writer, with numerous published books and articles to his credit. He is a Harvard graduate, former editor-in-chief of Discover, and former president of Encyclopedia Britannica. The text is well written and extremely well researched and documented. Yet, the subject matter is troubling. You can read the rest of my review, for the next week, at the current ChessCafe book review page. The permanent location for the review is located here, in the ChessCafe Archives. 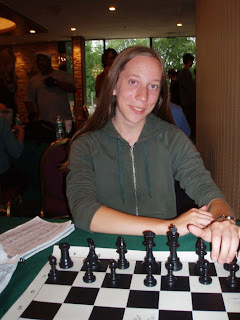 New Scholastic Chess ChessCafe column online! My September Scholastic Chess ChessCafe column is now available here. This month, Abby Marshall annotates her three victories over masters at the recent U.S. Open. We also extend our congratulations to Alisa Melekhina, who has now achieved national master status. 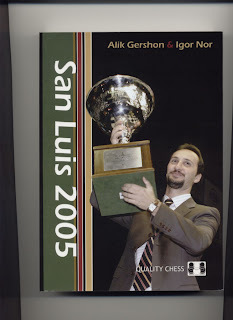 For the next few days, you can read my ChessCafe review of the excellent book San Luis 2005, the tournament book from the 2005 FIDE world championship. ChessVideos.tv presents an entertaining and instructive four-minute endgame analysis of the "Saavedra Position." The ChessVideos.tv home page is well worth exploring for a wide variety of videos, all completely free of charge. Hanon Russell has published a one-on-one interview with former world champion Veselin Topalov, in the ChessCafe Skittles Room. Topalov describes his early years in chess, how he came to team up with his manager Silvio Danailov, and doesn't sidestep numerous questions from Hanon about his 2006 match with Kramnik in Elista. Topalov's new book has just come out, entitled Topalov-Kramnik 2006 World Chess Championship: On the Edge in Elista. You can read a review of the book here.